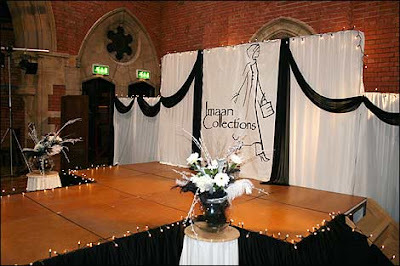 In March 2007, Imaan Collections held a charity fashion show in aid of Ansaar, which you can read about here. These are pictures from the Spring/Summer 2008 show. The BBC also ran a short interview with Sophia here. I love the purple and gray combo! I'm just pleased to see British designers make good quality stylish abaya's, it would defo make it easier for me to find stuff I can wear. Anon, that's good to hear! Yeah it would have been great if WiB spoke to her also. Umm Salihah, me too, we need more of them! 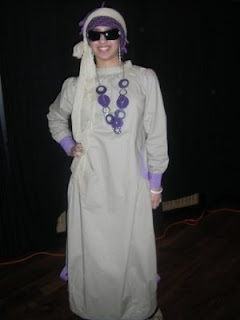 really appreciate it and its truly inspiring to see that you put and emphasis on modesty with such vogue and class! thanks again, we wouldnt be around if it wasnt for you girls, keep the comments coming in!